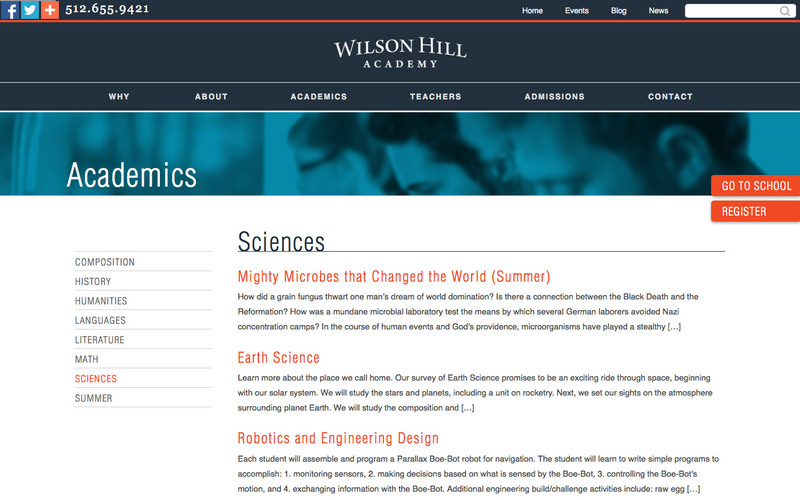 Wilson Hill Academy is an online school using a next-generation live video streaming experience for teachers and students. Our marketing team began from scratch developing the brand strategy, messaging, logo, paper systems, videography, photography, and Website. 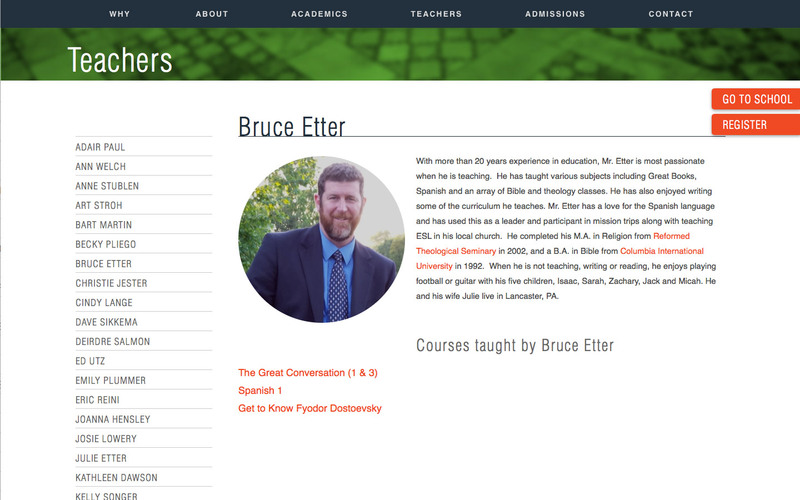 The site’s purpose is to market to students and parents interested in a classical Christian education. 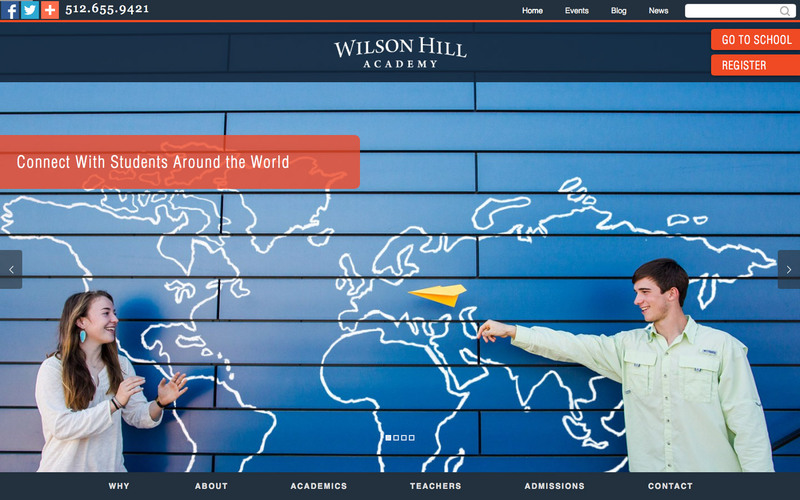 The home page uses a layered, smooth scroll system with paralax events and videos to tell a story and engage the younger audience.